I've been into Anime since I was a young child. I wouldn't say I've watch a lot of anime, since I watch it one and off. This list is the 7 best anime I've watched in the last two years. Most of them are fighting, sci-fi, and fantasy. The summary are written by myself, so if any of the information is incorrect, please don't hesitate to correct me. I've also included 1 trailer for each Anime as the best representation of what the feel of the anime is like. If you know of other anime that is similar to any of the styles below, feel free to comment! 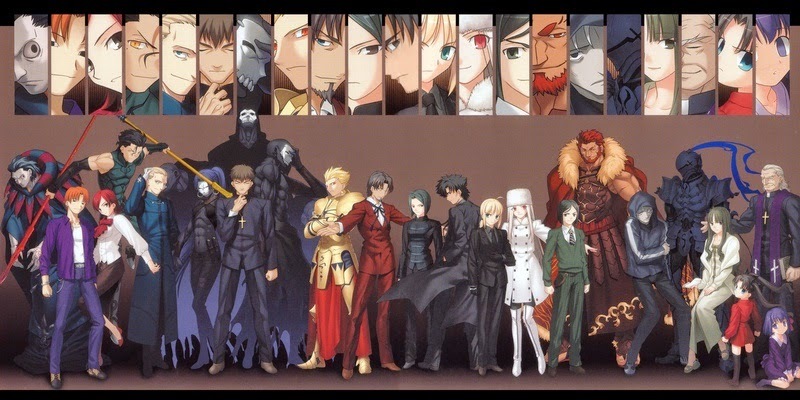 Summary: The story is centered around the Holy Grail war, which happens every 60 years. The Holy Grail can grant any wish and only one person can obtain the Holy Grail. 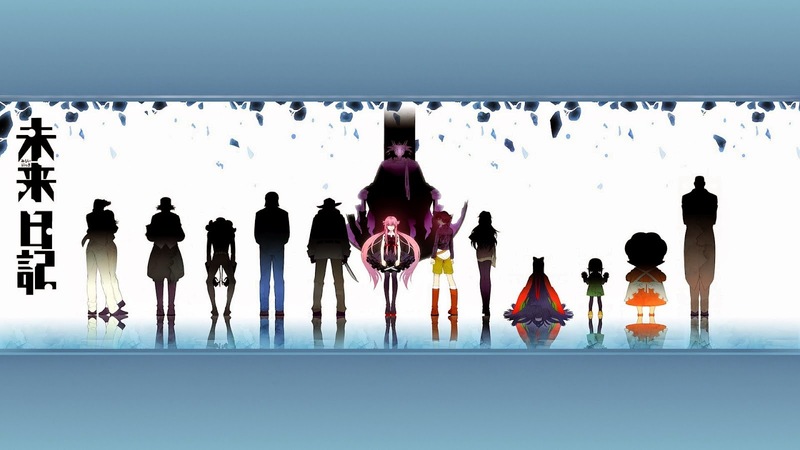 7 magicians "masters" summon 7 servants (which are gods or warriors of the past) to compete and kill each other in the war. Servants come in different grades depending on the magician's rank. In order to eliminate an opponent, the master must be killed. Servants can change masters at any given time, and each servant also have unique weapons and 2-3 special attacks. Summary: 12 Diary Users participate in a battle of becoming the god of time. Each Diary User's diary can read the future in different ways. Diaries come in different forms, but once a diary is destroyed, the user also dies and is eliminated. Throughout the story, the main character (Diary User #1) constantly struggles to identify who is an enemy and who is a trustworthy companion. There are unexpected betrayals and plot twists. It almost flies off the rails at the end. Similar to Death Note, this series requires a lot of logical reasoning and predicting people's actions/thoughts. 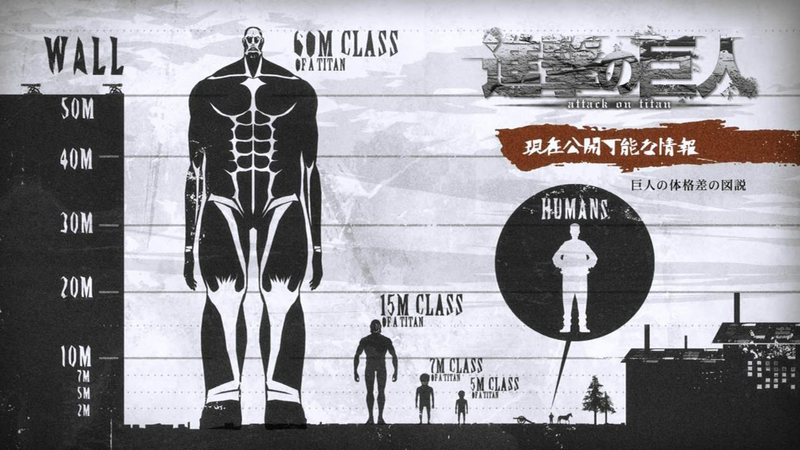 Summary: Titans, large human like giants nearly wipe out humanity 100 years prior to the starting date in the anime. The remaining humans built a country with 3 walls (Inner wall Sina, middle wall Rose, and outer wall Maria). These walls are 50 meters tall and have protected humans for over 100 years from titans. But a unusually tall titan just over 50 meters appeared and struck a whole on wall Maria. This allowed other titans to enter and eat humans. Titans come in different sizes ranging from 3 meters to 15 meters. 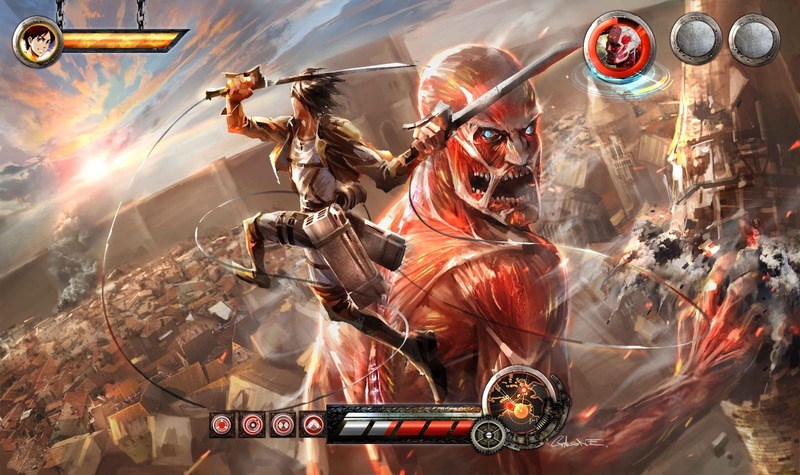 Different teams of soldiers are formed to protect humans from Titans. There are the surveyors which go beyond the wall to observe the behavior of Titans which is the most dangerous jobs among the 3. Military police which patrols around the inner wall, this is the safest job. And the Garrison corp which maintains order and safety near the walls. The plot is focused on finding the origin and all secrets about Titans. Summary: In 2029, an apocalypse virus breaks out in the world. A group of students are locked inside a restricted zone by the military and are left hopeless. 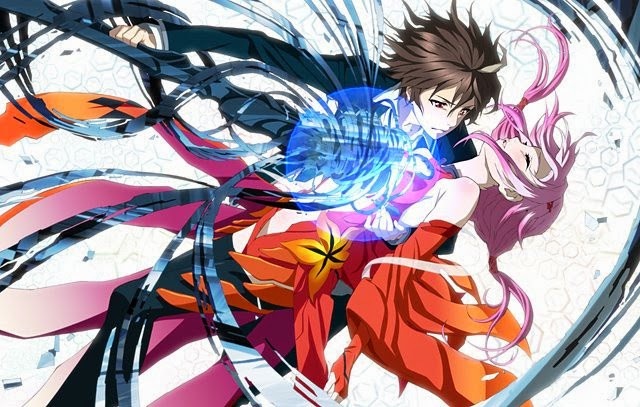 The main character obtains a genetic weapon "Void Genome" which allows his right hand to extract Voids. Voids are weapons of people's psyche (or spirit) in physical form. Voids come in a different shapes, sizes, and functions. 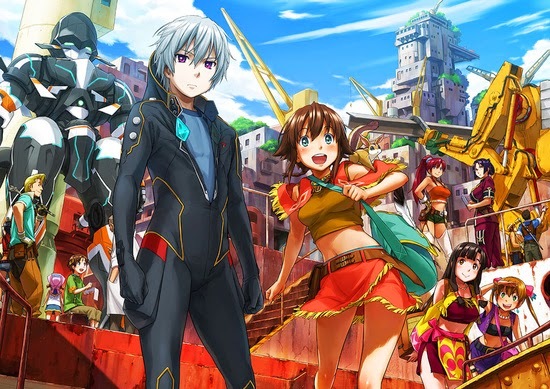 The group of students use their voids as weapons to protect themselves from the military and escape the restricted zone in order to unite with their families. Summary: This takes place in the future (2022). 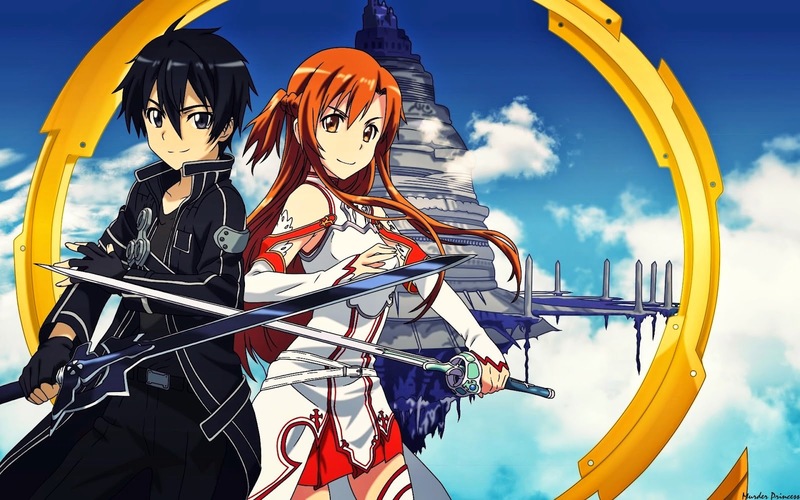 Sword Art Online is a virtual Reality Massively Multiplayer Online Role-Playing Game. But during the first release, players realize they cannot log out and are stuck in the game. This was a conspiracy by the game's creator. In order to escape the virtual world, gamers must beat the 100 Level game. Each level is a different floor/world with different enemies to fight to. Players form armies and even other society functions within the virtual world. However, if you die in the game, the player's real body will also die. Summary: This takes place in the future where 70% of humans have migrated to other planets, and a Dysonsphere (area constructed around an artificial sun). There are 2 main military super powers fighting against each other. During one attack a school was invaded by the military. The school's students decide to take initiative to protect themselves by activating Valvraves (a type of special fighting robot). 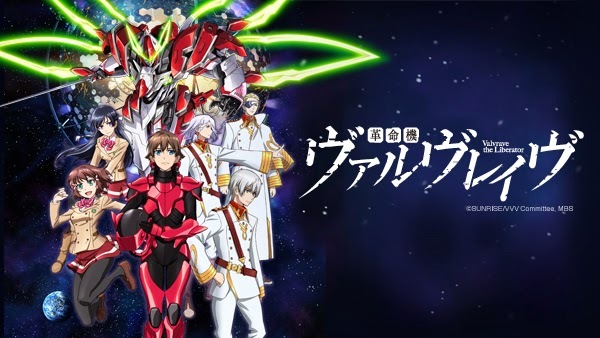 Throughout the series, you find out how Valvraves are powered, their ties with alien life form, the special but controversial form of energy Valvraves use, and the deadly consequences of piloting a valvrave. Summary: In the distance future, a large group of humankind forms Galactic Alliance of Humankind and leaves Earth permanently to find habitable planets and is engaged in a war with a tentacled alien species in outer space. Humans are trained to unemotional soldiers from an young age to battle in Machine Calibers (large fighting robot machines). These machines are AI powered and come in different suit forms. The main character was involved in one of the battles with the alien species but when troops were falling back, he didn't manage to get back to the mother ship in time and fell off course. He fell onto a planet covered in water and discovered later that it was Earth. From interacting with humans on Earth, he uncovers the many lies and conspiracies of the Galactic Alliance of Humankind, including the ugly origin of the tentacle species.